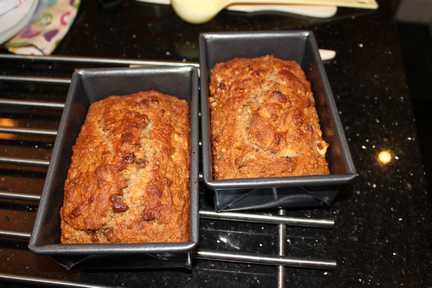 I am basing this on the Better Homes and Garden's Banana Bread Recipe. I added course bran and substituted the sugar for natural sweeteners (agave nectar or honey). I would include a photo but we have demolished the loaf from last weekend. On Sunday I will spend some time in the kitchen and figure out the UK measurements for my UK-based readers. Updated with photos on 26 February. Yummmm! 1. 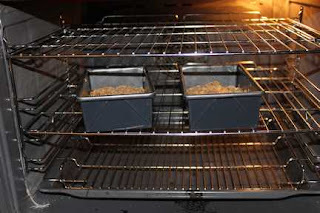 Preheat oven to 350°F (~175°C). 2. Grease bottom and sides of 9x5x3 inch pan ortwo7.5x3.5x2 inch pans. 3. 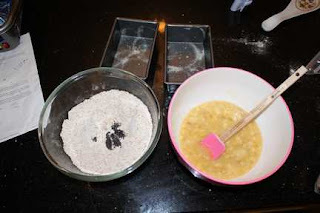 Mix flour, baking powder, baking soda, salt, and cinnamon together in a large bowl. Push to the sides of bowl leaving a space in the middle. 4. Mash bananas in a medium bowl. 5. Mix in egg, agave nectar/honey and oil. 6. Add wet mixture into dry bowl. Stir until flour is just moistened. It will be lumpy- don’t worry! 7. 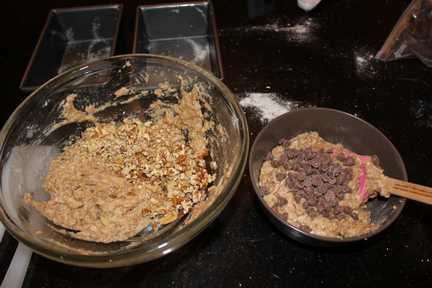 Fold in nuts, blueberries, chocolate chips or anything else you fancy. 8. 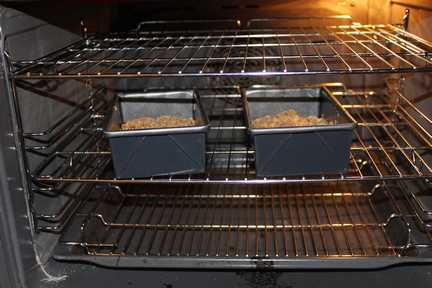 Bake for 55-50 min for 9x5x3 inch pan or 40-45 minutes for 7.5x3.5x2 inch pan. Note that the less oil the less time it will take to cook. 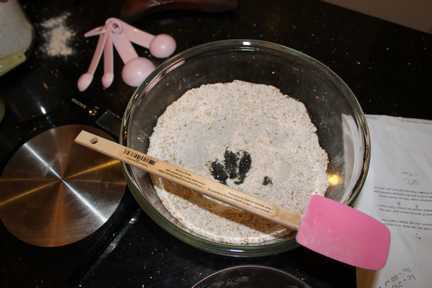 If your batter is thick when you put it in the pan, you may need to cook for less time. 9. It is cooked fully when you insert a toothpick and it comes out clean (no mixture on it). 10. Cool for 10 minutes in pan. 11. Remove from pan and continue to cool.